ESIC Delhi News / Updates 2018: Here are some of the very important updates and news regarding recruitment drives being conducted by ESIC Delhi - Employee's State Insurance Corporation (ESIC), Delhi. The recent updated published related to the organization is - SSO/ Manager Gr. II/ Suptd. Exam Date 2018. 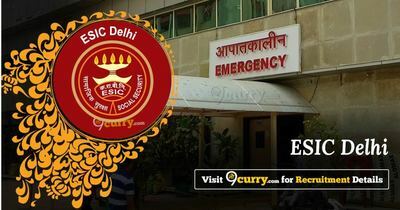 ESIC Delhi SSO/ Manager Gr. II/ Suptd. Exam Date 2018: Employee's State Insurance Corporation (ESIC), Delhi has announced that the exam will be held on 03 Nov 2018. The link to download Admit Card/Call Letter for appearing in the Phase-I Preliminary Examination will be made available to the candidates tentatively from 16th Oct, 2018 onwards.